Thermwood Corp. Cut Center was a Challengers Award winner at the 2014 IWF exhibition. 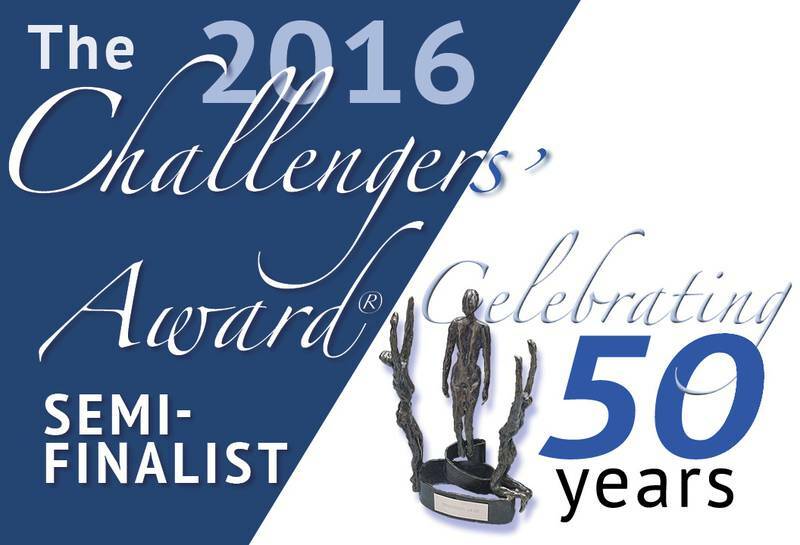 The Challengers Award program, celebrating its 50th anniversary in 2016, will see winners announced at IWF Atlanta on August 24. The purpose of the Challengers Distinguished Achievement Award is to encourage and promote the development of innovative new technology in the field of woodworking machinery, supplies, and services for the furniture, kitchen cabinet, architectural woodwork, store fixture, upholstery, or specialty and general wood product industries. Here are the winning entries from the competition since 2006. Many of these products are available now, and most of these companies will be at IWF in 2016. The nDepth sensor by AikenControls provides advanced 3D color and depth measurement for industrial applications including the wood/wood products industries. By scanning for 3D shape and depth, the sensor can detect missing parts, holes, wane, and other types of defects in material regardless of color to improve inspection and cutting processes. nDepth technology is simple to configure and connects directly to most existing systems and PLCs. With a 1.5 second cycle, CSI 1.5 is designed to reduce labor costs. The CSI 1.5 saves time, reduces waste and eliminates non-value-added labor and screw-handling for high production cabinet and furniture manufacturing. CSI 1.5 cuts Castle’s distinctive screw pocket, drills a low angle pilot hole AND inserts a screw below flush in 1.5 seconds. By moving the mixing point closer to the gun, the ProMix PD2K can reduce solvent use and mixed material waste by up to 80 percent compared to traditional electronic proportioners. This means lower disposal costs of hazardous waste materials and less wasted paint, especially when multiple daily color changes are required. Thermwood’s Cut Ready – Cut Center represents a new type of machine that doesn’t need a CNC programmer or technically skilled operator. It makes cabinets, closets, drawers, doors, drawer fronts and moldings without CNC programming and is so intuitive that it can be run by about anyone without specialized training. Timesavers has reinvented the conventional rough lumber planer. The Yieldsaver-24 is a top and bottom knife planer with the added capability to automatically center each board as it is being processed. With the Glu Jet hybrid technology the molten glue is pressed deep into the pores of the panel under high pressure. In combination with the newly developed application nozzle and the extremely low viscosity PUR glue, Holz-Her equipment can achieve zero joints with nearly all types of edging. The Evolution 7504 from Holz-Her providing industries only full 4 sided vertical machining capability coupled with a complete range of machining functions including, drilling-vertical and horizontal, routing, automatic tool changing and sawing with greater dust containment. Solid-CIM 3D is the ultimate solution for programming or nesting 3D solid parts and assemblies from AutoCAD, Autodesk Inventor and many popular solid modeling products. Solid-CIM 3D turns solid models and assemblies into 100 percent machine ready NC Code and can be used on any CNC machine. Giben captured the lost kinetic energy of the large moving components (saw carriage and pusher in this case) during their deceleration (negative acceleration) ramping cycles, and turned that waste into energy, and all of this while gaining performance and efficiency. Innovative hardware that allows sliding doors to sit flush instead of on separate tracks allows the consumer to have the functionality of sliding doors without altering the look of their cabinets. It closes quietly and maximizes available space as doors do not pivot outwards taking up additional space. The Cameron Flooring Nester automates the labor-intensive job of nesting random length flooring into bundles ready for strapping. It uses laser measuring and an innovative sorting mechanism to accurately control the quantity of flooring in each bundle. Although the software is internally complex, the user interface is quite simple. The T75 PreX has revolutionized industry standards in terms of performance and flexibility. It is the first machine worldwide where a cutting height is 204mm is combined with a tilting range of 2 x 46 degrees. The operator is free to execute each angular cut at the cross-cut fence as well as the rip fence exactly the way it is best for the task at hand or the work piece to be machined. The new HPI Gloss Control UV Curing system eliminates the need for costly downtime by allowing for only one coating to be used for all gloss ranges from 30 to 80 gloss units. The new invention will revolutionize the wood finishing industry forever. The Atemag Extra Plus Aggregate significantly reduces machining cycle times for time consuming deep lock cases and mortise work on CNC routers enabling companies to become more productive and helping control equipment and labor costs. By creating a unique oscillating tool motion the material removal rate is greatly increased and this drastically reduces the time required for mortise work and deep lick cases on CNC routers. The reciprocating knife cutter can cut veneers, carpets, felts, laminates, cork and soft plastics. During cutting with the oscillating knife cutter the spring-loaded floating ring ensures optimum contact of the material with the surface underneath. Similar to a jigsaw, very small radiuses can be cut. The very high reciprocating speed of up to 6.000 strokes per minutes ensures very effective machining. The reciprocating knife cutter requires a machine equipped with a C-axis. The Binks MX Series of pumps support one or two gun spray finishing in air assist airless applications. With the industry's most responsive air motor and fluid section combination, your operation can experience reduced rejected parts, reduced coating costs, and reduced energy consumption. Cabinotch is a revolutionary way to build custom cabinets. The system allows the cabinetmaker to go online and order exact sized cabinets in height, width and depth to the thousandth of an inch. This system supplies the most innovative interlocking cabinet system in the world, delivered flat stacked. Cabinotch enables the cabinetmaker to completely build even challenging cabinets like a lazy susan base or an angled upper in less than five minutes. ETP introduced the new patented adjustable system ETP Cubit at IWF 2010. The ETP Cubit is a complete new concept for adjustable systems. Profiling of the tongue and groove in the flooring industry can now efficiently be done at an extreme precision and repeatability. Innovative and user-friendly design together with an extraordinary performance let you in just three steps reach profile success. King Slide has combined the touch-to-open and soft-closing technologies in the revolutionary 1A88 slide. This slide uses an electric-free, all-mechanical design that gives users a safer and more convenient kitchen environment. The handle free design offers more convenient ways to operate drawers, preventing accidental knocks and providing a safer environment. The soft closing design allows the drawer to retract slowly and elegantly, preventing painful pinching experiences and ensuring full retraction of the drawer. Leitz introduces RipTec pre-cutting system patented for window production. Leitz RipTec System, patented for window production, drastically decreases blow-out on end-grain machining and creates a stronger joint, sealed against water and air. Also used in conjunction with finish planers on four-sided moulders, RipTec virtually eliminates plucked grain in difficult-to-machine woods. When machining curved parts, combination finish knives plus RipTec knives prevent chipping and increase knife performance by as much as 50 percent. The Dyna-Loc is a Patent Pending, compact automatic tool change spindle. This spindle system eliminates the need for many of the components of conventional tool change spindles. The reduction in components allows the spindle to be more compact and light weight while also reducing the likelihood of failures. Advantages include fail-safe design eliminates accidental tool ejection in the unlikely event of a failure; eliminates troublesome hollow shaft, drawbar, and spring packs;· eliminates expensive HSK clamping sets;· provides for a shorter, more compact ATC spindle;· better spindle balance than conventional drawbar systems. Dux Area, Inc. offered three new spray guns utilizing patented Advanced Laminar Airflow Technology to reduce overspray and coatings waste. The result is an average 15-40 percent coating savings and reduction in emissions of Volatile Organic Compounds (VOCs). Dux guns also produce a high quality finish and operators appreciate their compact design and light weight. DV-Systems' UV-X is designed to offer up to 30 percent more machine-up time, 80 percent less energy usage, mercury free lamps, reduced exhaust and virtually no fire risk to save both the environment and operating costs. FS Cruing's Aerotech Nesting+ System provides extraction by creating a tornado like vortex that reaches down along the cutting head, lifting dust, debris and potentially corrosive residues up and away from the cutting head, through the fixed, machined propeller blades and into your CNC machine's dust extraction system. The Zero Active Drive Beam Saw is the only panel saw that does not require motors or electric cable and pneumatic hoses in chains on the saw carriage, Giben Zero Active Drive is a vision into the future of panel sawing as it combines speed, efficiency, accuracy, economy, reliability, silence, safety and innovation into one package. The Next G Series is the first to automatically position diamond or carbide profiled inserts in a single tool body. Optimize the cutting edge, achieve higher precision and save time when changing knives. The Next G Series is the next generation of tools. UCT's UltraCem coating enables STS blades to run with slim tolerances, minimal friction, and limited deviation. UltraCem allows manufacturers to re-shape sawblade geometry with an unsurpassed tip-to-blade clearance. As a result, woodworkers can achieve thinnest kerfs possible, maximizing material utilization with every pass of the ultra-thin blade. WoodEye introduced the first production ready scanner capable of grading most hardwood species according to either NHLA or proprietary grading rules. It offers the same easy-to-use interface as is common on all WoodEye scanners. The Skipper 100 is not an evolution of a traditional CNC point-to-point machine, but it's a revolution in the concept, according to Biesse America. The obvious difference is that Skipper moves parts toward the cutting unit rather than vice versa. This allows the operator to work two panels at a time, one on top of the other, giving to the machine almost double the productivity of the traditional point-to-point. Dubois Equipment Co. Inc.’s 3D UV oven provides both even dosage and peak intensity across the full width of the conveyor belt on all of a product's surfaces. The Dubois oven was specifically designed to cure 3D substrates and provides an even dose and intensity to all of the surfaces of a product. This eliminates uncured and over-cured surfaces, as well as reducing heat build-up. The oven uses about half the energy of typical 3D UV ovens. The ETemplate digital measuring system uses digital photography, together with algorithms and spatial geometries, to accurately measure construction spaces. The system consists of a number of plastic markers, adhesive markers, area gauges and a camera. Photos are taken of the markers from at least two angles. A typical job requires eight to 12 photos. Once the photos are taken, the user downloads them into a computer. The ETemplate software processes the photos and creates a CAD drawing of the area. Navy Island Plywood's grading system is designed for anyone including manufacturers of cabinets, fixtures and furniture who works with veneer products. The grading system is based on accurate measurements of all the visual characteristics of a number of species. The system includes definitions of character marks, grain structure, leaf matchings and figure types; a scale to determine overall color and color variations; and cumulative numeric grading scale based on 100 points, with negative characteristic values subtracted from the total. Weinig Group/Michael Weinig Inc.'s Valu-Vision system is designed primarily for small- to mid-sized customers who want, but can't afford, the technology of a full linear scan. The system combines the precision measurement of a vision system with visual acuity of an operator in the ripping process. Holz-Her U.S. Inc.'s Kundig Brilliant Sanding Unit is designed for customers who want to achieve a high-quality finish in various applications, including solid wood, veneer, lacquer and sealer. Instead of the conventional 90-degree angle, the unit pivots the sanding head to an oblique angle to the conveyor. Because the abrasive belt sands at an angle, the belt cuts with less resistance and produces a flatter finish. The process also hides belt damage lines and extends belt life. The Fumes-to-Fuel system is designed for companies that have to deal with volatile organic compound (VOC) abatement, such as those with finishing lines. 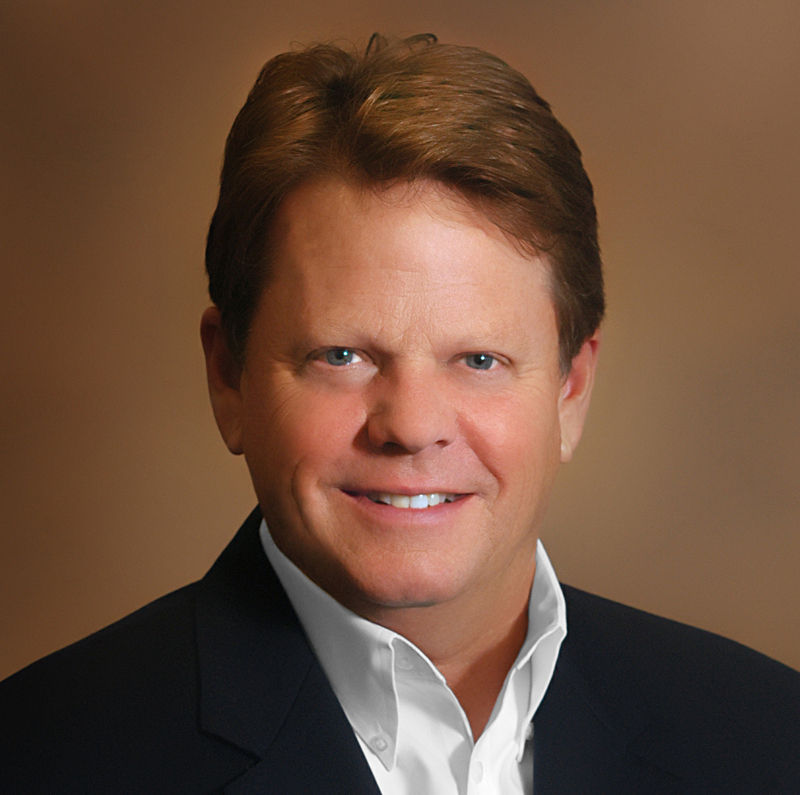 Companies traditionally have used regenerative thermal oxidizers (RTOs) to burn off VOC fumes. The Fumes-to-Fuel system captures VOC fumes in an enclosed system and converts them to electricity. The system cuts VOC emissions by as much as 50 percent and greenhouse emissions up to 90 percent.